The Littlest Birds Sing The Prettiest Songs, inspired by one of Shannon’s favorite songs by The Be Good Tanya's, because the littlest birds sing the prettiest songs. Sterling Silver Hand stamped Disc with the littlest bird cut out of the center. Still need assistance? 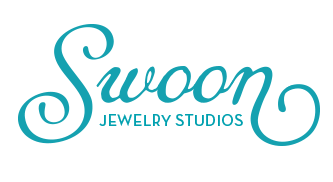 Call 303-570-0154 or email hello (at) swoonjewelrystudios.com and we'll be happy to help!